What is larger than the Great Pyramid of Giza, which stood for 43 Centuries as the tallest building in the world? But keep in mind, they have been incinerating waste as fast as they can, and dumping the ashes into Tokyo Bay to try to skirt away from rules on dumping waste into the Taiheyo, the Pacific Ocean. How much bigger? About 9 times bigger! 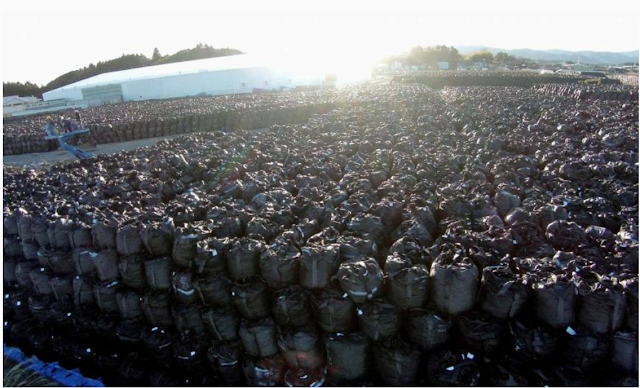 “The start of delivery marks a major step forward for the rebirth and reconstruction of Fukushima. I’d like to thank local communities for accepting it,” Environment Minister Yoshio Mochizuki told a news conference Friday. Over the next year, around 43,000 cu. meters of waste — equivalent to less than 1 percent of the estimated total of 22 million cu. 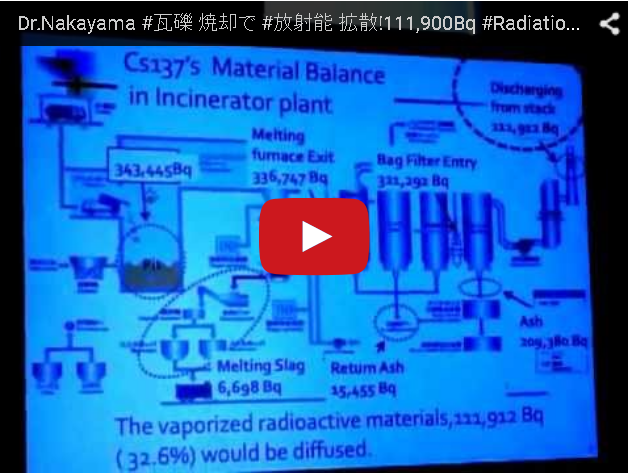 meters created by the Fukushima No. 1 reactor meltdowns — will be delivered, the ministry said. 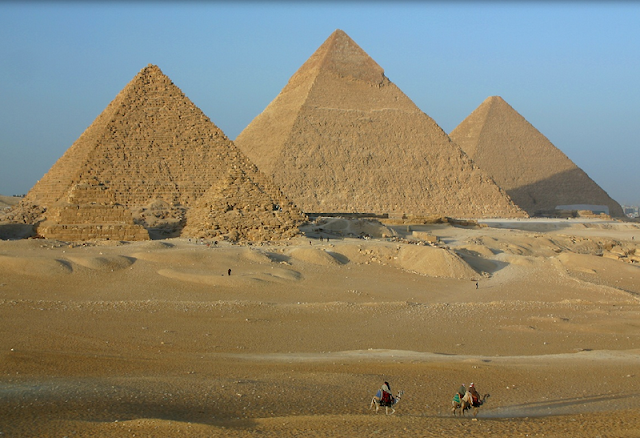 Some of the earliest history of the Pyramid comes from a Greek traveler named Herodotus of Halicanassus. He visited Egypt around 450 BC and included a description of the Great Pyramid in a history book he wrote. Herodotus was told by his Egyptian guides that it took twenty-years for a force of 100,000 oppressed slaves to build the pyramid. Stones were lifted into position by the use of immense machines. The purpose of the structure, according to Herodotus's sources, was as a tomb for the Pharaoh Khufu (whom the Greeks referred to as Cheops).